Home » What to Expect? What can you expect before, during and after LASIK treatment? The patient should be informed of some general information related to LASIK surgery. You need to have a full eye examination done by your doctor as well as discuss the risks and benefits of LASIK surgery. This will help you to know whether you are a good candidate for LASIK surgery or not. 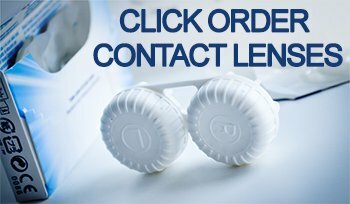 If you wear contact lenses then it is suggested that you remove them a few weeks before the evaluation. Wearing contact lenses changes the shape of your corneas and it will take several days for them to return back to their original shape after you stop wearing them. It is important for your corneas to assume its natural shape before surgery as it can cause adverse effect. Inform your doctor about your past & present eye conditions. Also, inform your LASIK surgeon about any previous eye surgery or trauma. Make sure that your doctor is aware of all medications that you currently take (prescription and over the counter). Also, mention any medications that you are allergic to. Ask your doctor a lot of question concerning benefits, risk and what needs to be taken care of before and after surgery. Avoid using all lotions, creams, makeup, and perfumes on the day before surgery as it can increase the risk of infection. Make sure you arrange the transportation on the day of surgery and for your first follow-up visit. You will not be allowed to drive yourself after surgery. LASIK eye surgery usually takes less than 30 min. During this procedure you will be on your back in a reclining chair. After you have been positioned in the chair, a drop will be placed in your eye that will cause numbness and then your eye will be cleaned. Once your eye has been cleaned a lid speculum is then used to hold your eyes open. Once your eyes are set in the lid speculum, a suction ring is applied to the front of your eye to prevent any eye movement. Once the corneal flap is created the surgeon then uses a computer to adjust the excimer laser for your particular prescription. For the next step, you will be asked to focus on a target light for a shorter time as the doctor watches your eye through microscope and send laser pulses of light to your cornea. The laser painlessly reshapes your cornea. You may feel some pressure on your eye during this process and hear a steady clicking sound while laser is operating. LASIK is performed both eyes separately on the same day. After the completion of the surgery your eyes may feel burning, itching or irritation. You can expect some blurry vision after the surgery, but the eye clarity will be improved and should be stabilized within few days. You should need to take the follow-up appointment with doctor after 1-2 days for checkup for any complication. Also visit regularly to the doctor for next six months after surgery as per doctor recommendation. Avoid using lotions, cream and make-up around the eye for next few weeks after the surgery as it can often build up on the eyelids and can increase the risk of infection. It may take somewhere between three to six months to completely stabilize your eye after the surgery. During stabilization, many symptoms like glare, seeing halos and trouble driving in the night can occur. Sometimes, additional treatments may be required after surgery, but the stability of your cornea will need to be established before any repeat treatments are done.